Kind-hearted and virtuous, deeply loves her husband Chen Kun. Yet she is more than meets the eye. Fox spirit with multiple disguises. Sometimes appears as an innocent little girl, sometimes behave like a little demoness. Upon falling for Chen Kun, is willing to do anything for him. Has a selfish and parochial view on love initially but eventually learns the meaning of true love. Dresses like a guy, and Sun Li wasn't very happy about it at first. But considering that her makeup time was the shortest, it offset her gripes. The three women are always jumping down one another's throat in the film, though in actual life, they live harmoniously with one another. A pugilistic ghostbuster who is very stouthearted and righteous, yet somewhat silly, and no one believes in her though she has the ability to tell demons apart from humans. Would willingly sacrifice herself for love. A brave and handsome general. He's not exactly irresponsible, yet has feelings for both his wife Vicky Zhao and fox spirit Zhou Xun. Is helplessly bewitched by the latter, apparently not because he lacks conviction, but she's too cunning. A roaming pugilistic who knows nothing about the occult. 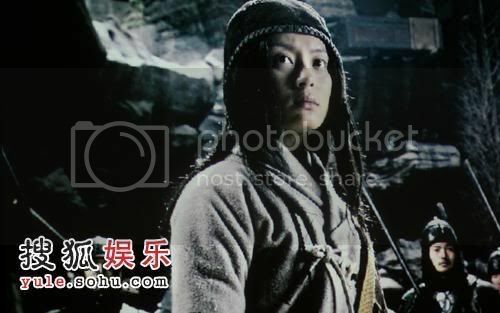 Carries a torch for Vicky Zhao but unable to express to her. Feels sorry for Vicky Zhao's plight owing to Chen Kun's infidelity. Reportedly, Donnie Yen has more drama scenes, including romance, than action scenes in this movie, and has the least fights in Painted Skin compared to his other movies. This Flying Reptile is the fox spirit's guardian. Loves her deeply and would do whatever it takes to win her heart. Extremely possessive. Kills indiscriminately in order to obtain human hearts to sustain her life. Yet his effort goes unappreciated and he couldn't accept it. While fighting a war in the desert, Chen Kun, a general of Central Plains, saves a beauty Zhou Xun and brings her home. He doesn't know her true identity - a thousand year fox spirit. In Chen Kun's house, Zhou Xun meets his wife Vicky Zhao. In order to have Chen Kun to herself, not only does she mask her needs for a human heart daily to sustain her beauty, but also frames Vicky Zhao, accusing her of being a demon, forcing a pill down her throat, turning her pale white. Vicky Zhao couldn't clear her name, and gradually loses Chen Kun's affection, and could only stand by watching Zhou Xun and Chen Kun whispering sweet nothings in each other's ears. 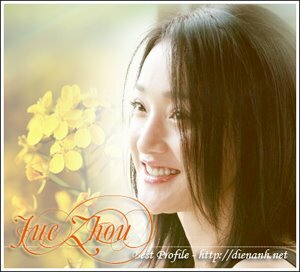 Sun Li, who possesses the special ability of third eye is able to tell Zhou Xun's true nature, but no one buys her story. In the process of rescuing Vicky Zhao, she runs into martial arts exponent Donnie Yen. The two join forces against the demons.